Recent research into chocolate have indicated that it is good for your heart. Preliminary evidence has shown cocoa and other chocolates to keep your blood pressure down, your blood flowing and your heart healthy. Cocoa contains a substance that helps the body process nitric oxide (NO), which is a compound that is critical for healthy blood flow and blood pressure. Another study showed that flavonols in cocoa can prevent fat-like substances in the bloodstream from oxidizing and clogging the arteries. Flavonoids are plant compounds with antioxidant properties. Large quantities of flavonoids are found in cocoa as well as in red wine, tea, cranberries, peanuts, strawberries, apples and many other fruits and vegetables. So apparently we don’t need to hold back on the chocolate. Personally I prefer the dark bitter chocolate with the high cacao content. The higher the percentage of cacao listed on the wrapper then less sugar it contains. “So apparently we don’t need to hold back on the chocolate…………..” Unless you’re trying to lose or maintain weight. Chocolate is high in both calories and saturated fat, althought the sat fat is a type (stearic acid) which has been shown not to raise LDL levels. 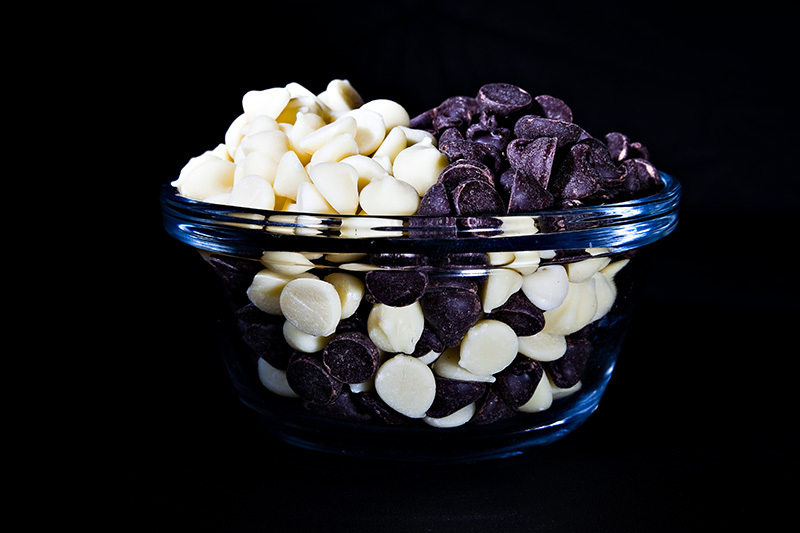 Dark chocolate, higher in cacoa (70 to 90%) is richer in protective flavonoids than milk chocolate which has much higer amounts of added sugars. Bottom line is moderation in all foods, including chocolate. It’s healthy but not if it causes weight gain and added body fat.